The media can be a very confusing place. It is hard to know what to listen to, and what is pure manipulation, as companies try to trick us to purchasing their product. How do you know what to listen to? Well, at RunnersConnect, we like to sort through all the “fluff”, and find the information that really helps you run as fast as you can. One thing that definitely does matter to you as a runner is hydration, but you already knew that. The big drinks companies have been telling us about the importance of them for years, and they are right….to an extent, but not in the way you think. If you have ever cramped in a marathon, run on a hot summers day, or sweat to the point where the salt crystalized around your eyes, you definitely have required electrolytes. Even if you have not, if you have lived and breathed, your body needed electrolytes, and we are going to explain what they are, and how you can keep yours up to where they should be (without risking diabetes by constantly taking in sugary drinks!). How is this running article different to others? Instead of writing yet another useless “news flash” article about how you need to drink more in the summer, I’m going delve into some of the specifics of summer hydration – how electrolytes and hydration go hand-in-hand. Most running articles discuss hydration and mention that electrolytes are necessary, however, they fail to explain what electrolytes are and why keeping them balanced is crucial to a runner’s health and success. Electrolytes are similar to laundry soap in your washing machine; although soap doesn’t make your washer run, it is necessary to get your clothes clean. Like laundry soap, balanced electrolytes are necessary for your digestive, cardiac, muscular and nervous systems to function well. Electrolytes are sodium (Na+), potassium (K+), calcium (Ca 2+), magnesium, (Mg 2+), chloride (Cl-), phosphate (PO4 2-), bicarbonate (HCO3-), and sulfate (SO4 2-). Sodium, potassium, magnesium and calcium are the four major electrolytes that maintain the body’s fluid balance. As a side note, the + and – symbols mean these minerals are ionic. Their ionic nature gives the electrolytes the ability to carry electrical energy to keep the body’s systems functioning. Why is electrolyte balance important for runners? For a runner, keeping your electrolytes balanced is key for successful training and optimum performance. If your electrolytes are imbalanced, you could potentially compromise the success of your next run because of muscle fatigue or cramping. Along with the more frequent muscle cramps in the legs, stomach cramps or side stitches can also be the result of an electrolyte imbalance. Bathroom frequency and urine color are often the easiest and simplest way to assess your hydration and electrolyte levels. Although bladder size is a consideration, an average, healthy adult, should urinate 5-8 times a day and the color should be a light straw yellow. This is especially important to note after hard workouts or long runs. You shouldn’t be going 5-6 hours between bathroom stops if you’re well hydrated. While running you lose electrolytes through your sweat, mainly sodium and potassium. Potassium permits the movement of fluids and nutrients across your cells’ membranes, thus allowing them to carry on their metabolic activities such as contacting muscles. Without sufficient potassium, your muscles cells can’t generate the necessary nerve impulses that control muscle contraction. Cramping is the body’s way of letting you know the electrolyte tank is empty and it cannot continue; it’s like a car running out of gas. Even you’ve never experienced cramping, electrolytes need to be replenished after sessions longer than a hour to facilitate optimal recovery. For Sodium, can I just add more salt to my food? Just because sodium is an electrolyte, don’t assume your daily sodium consumption will replenish your electrolyte loss from your run. First, sodium causes water retention. Consuming sodium alone and not in combination with other electrolytes may cause severe swelling of the hands, feet and ankles. Second, the body monitors electrolyte losses during the run through hormones. After a run, if sodium is consumed in high amounts without other electrolytes to balance, it neutralizes the hormonal system and disrupts the bodies regulation processes. Sodium should be consumed in combination with other electrolytes to assist proper electrolyte balance. Now that we understand the function and importance of replenishing your electrolytes, we can discuss the best possible options to replenish quickly and efficiently. Of course, you can always opt for electrolyte drinks like Gatorade and Powerade, but those often contain high amounts of simple sugar. When you’re replenishing electrolytes throughout the day, you don’t want to be consuming high amounts of simple and artificial sugars. While sports drinks are easy when racing, when you’re replenishing electrolytes throughout the day, you don’t want to be consuming high amounts of simple and artificial sugars. That is why we like EnduroPacks Spray as you can add it to any drink of your choice, and it contains all the essential electrolytes you need to maintain levels. You could also look into Hammer Fizz, Nuun, and Nathan Catalyst as flavored alternatives to put in your drinks. When it comes to losing and replenishing electrolytes every runner is different. Some runners are “salty sweaters” and some people sweat very little. I personally am a very salty sweater and I have found that the Nuun tablets work best for me. EnduroPacks is also a great option as you can determine how much you need to take based on your needs. As you try different electrolyte supplements be aware of your body responds. Monitor your thirst after your run and the color of your urine. I suggest you experiment with different electrolyte supplements that do not have artificial ingredients or colors to determine if you are a drink or capsule person and which flavors fit your tastes the best. Electrolyte Imbalance - Symptoms - Better Medicine. (n.d.). Local Health Home Page - Better Medicine. Retrieved March 24, 2012. Frequent Urination in Men and Women: Causes & Treatments. (n.d.). WebMD - Better information. Better health..
Light Yellow Urine Color. Is it Normal? What it means about your health.. (n.d.). Urine Colors - What is Normal? What does Healthy Urine look like? A Guide to Urine Colors and Your Health. The Endurance Athlete's GUIDE to SUCCESS | Hammer Nutrition. (n.d.). Fuels & Supplements for the Endurance Athlete | Hammer Nutrition. Voluntary dehydration and electrolyt... [Aviat Space Environ Med. 1985] - PubMed - NCBI. (n.d.). National Center for Biotechnology Information. My favorites for warm weather activity, like you, is Nuun tablets. I also supplement on longer runs with Succeed S!Caps (341mg Sodium and 21mg Potassium and vegetarian friendly). This seems to work well for me. Determining the right combo for me was key in being able to run marathon distance and ultras. And I take it with me in ultras instead of relying on whatever may be available at aid stations. My observation has been that some folks are simply more prone to electrolyte imbalance issues than others (GI distress, muscle cramps, bonk). Perhaps these folks add fuel to the fire when drinking extra sugars (Gatorade/Powerade) when they begin to feel dehydrated. Don’t forget to check the labels on your other “in-run” supplements such as gels, sport beans, bars or whatever else you may use. Thanks, James. I like your approach to finding what has worked for you and not relying solely on what is available on course. 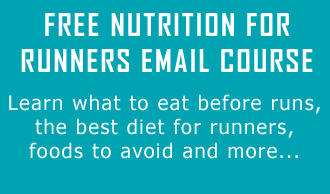 I think it’s vital that runners experiment in training to find their optimal nutrition strategy so on race day it’s second nature and nothing to worry about. Good luck with your upcoming races, looks like you’ve got a long one coming up! James! You make a great point, some people are simply more prone to electrolyte imbalances than others! It is extremely important for people to listen to their own bodies to learn what works best, just like you have! I am glad you have been diligent to determine what works best for you! I’ve heard a Lott of good things about coconut water/juice for hydration.what is your take on it as a way to replenish electrolytes? Coconut water is a great hydration option, it contains more potassium than a banana and 5 essential electrolytes. One thing you need to be aware of though, is coconut water contains 12 grams of sugar in a 14oz serving. Often runners don’t realize how much sugar they are consuming between their chews/gels during the run and their electrolyte drinks post run. I’m glad to see non-sugary electrolyte options. Can you please comment on electrolyte consumption and hydrating on recovery days? Great question, Pebble. In my experience, hydrating and electrolytes on the recovery days is as, if not more important, than the hard days. We all know that we have to drink after a long run in the hot sun, but keeping your electrolytes balanced throughout the entire training week helps the muscles recover (water is essential for recovery) and allows the body to maintain a healthy balance. My suggestion is to always have a bottle with you – work, home, walking, wherever. This makes it easy to sip and sometimes you’ll just do it unconsciously because it’s there rather than realizing at 8 o’clock at night that you haven’t drank all day. Hope that helps. Thanks for the information. Lots of great information. One should also note that if you are taking multivitamins, your urine may appear less “straw colored” and a bit more on the yellow side. I find that NUUN also works best for me. Hard keeping it on hand sometimes. Yes! Great reminder! Your urine can be abnormally bright when taking a B-complex or multi high in the B vitamins! How can we attempt to balance electrolytes if we don’t know what we’re losing in our sweat? What are the scientific recommendations for replacement of each electrolyte? I don’t rely on supplement manufacturers to provide that info since their opinions can vary widely, as shown by the wide ranges of electrolyte amounts for the products shown. I realize folks may sweat different liquid volumes, but is the percentage of electrolytes in each person’s sweat roughly the same? If so, what are the normal ranges for each electrolyte? Seems like we would want to replace close to what we’re losing in our sweat. So how much of each electrolyte are we losing per volume or per weight loss (say cup or 0.5 lb of sweat)? After we have that info, we can make more informed decisions on supplements. Great questions! Your idea that rehydrating most efficiently would require you to know how much of each electrolyte you sweat out per volume of sweat lost, is absolutely correct. The problem with this is each individual loses electrolytes differently. So The percentages of electrolytes people sweat is not roughly the same and there have not technically been “normal” ranges created. Electrolytes lost per workout even change with each individual, depending on their diet the day before, the level of humidity, the duration of exercise and the state of acclimatization. For you to determine which electrolytes you need to replace after each workout you would need to have someone monitoring the electrolyte levels in your blood and urine pre and post every workout you do. At that point you might be able to create some normal ranges for you. Because electrolytes are so individual and our bodies are so efficient, a general electrolyte supplement usually contains enough of each electrolyte that our body can use what it needs and pass the rest through. Nutrition is very individual and usually requires some self experimentation. I hope you find an electrolyte supplement that works for you and I hope this is helpful. In Lore of Running, Tim Noakes summarizes sweat electrolyte data from published papers and compares electrolyte concentrations and an individual’s fitness level and heat acclimatization. This data concurs with another study I reviewed, which includes their testing information plus a summary of other published data. The sweat electrolyte concentrations in the reviewed materials indicate there is variability between individuals, and the Noakes data below is within the concentration ranges presented by others. While not stated in Lore of Running (and I did not review his sources), I presume the values are averages for each category, so individuals may have sweat with electrolytes above or below these average concentrations. Electrolyte concentration values from other sources had percent standard deviations of approximately 30 percent. Not sure how table will look when posted, I apologize in advance. Notes: Values in grams/liter (g/L). Noakes did not define Unacclimatized, Acclimatized, Unfit, and Fit; use your best judgment. This information may help folks estimate their electrolyte needs. For comparison, Gatorade and Powerade sodium quantities are 0.46 g/L and 0.23 g/L, respectively, which are below the Acclimatized & Fit sodium value. Hence the need to consider the supplements mentioned in the Guide. Dan, this is great information, thanks for sharing. 30% is pretty significant, when it comes to standard deviation, so using these figures as guidelines or starting points is a good idea! 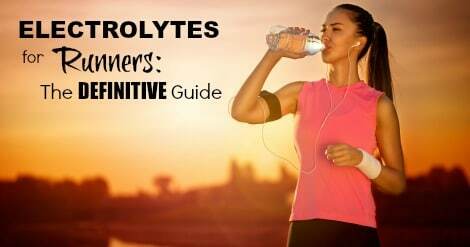 So, wonderful information on electrolytes! I’ve only one question: being a person who believes in eating about two hours before running or any other workout, should I take in electrolyte supplement immediately before I start off running, and in the event that I get a muscle cramp shouldI take it then and continue running? How long, in other words will electrolytes take to be absorbed and hence take effect? Great question, Jayse. Electrolytes are absorbed pretty rapidly, so you’ll want to take them closer to your run, although having them two hours before won’t hurt. Definitely take electrolytes if you’re experiencing a muscle cramp as it should speed up the process of getting it to release. The exact absorption rate is dependent on a lot of factors, but it’s very fast regardless. Best of luck! Very helpful article. I live in Florida and previously have relied on salt tabs and Gatorade and coconut water to get me through the summer. In Florida that is April – October. I am also trying to lose weight using weight watchers so the sugar comments are helpful. Considering Dans comments and considering the very high sweat loss is one supplement better than others for Floridians? Pingback: Electrolyte Replenishment - Why Its Important? As a runner who goes anywhere from 7-12 miles per run, 3-4 times per week, and as a very salty sweater myself – I definitely eat normal to get keep my sodium levels correct, but, I absolutely hands-down swear by pure coconut water. It’s natural, super delicious, and it’s the most hydrating natural liquid that I’m aware of. If pills work for you, great. I personally don’t want to take them, and I think coconut water has them all beat by a long shot with all of the other nutrients it packs. Plus it tastes way better than taking a pill. It’s not uncommon to find cans of it that have 700 mg of potassium per can. I’ll drink some before a run, but always post-run… along with 1 cut up banana mixed in with 1 cup of low-fat (not 0%) (high-protein & potassium rich) greek yogurt + a little granola. This simple food & drink combo is super easy on the stomach and seems to provide me with the ultimate in post-run recovery. I’m sure I’ll discover other stuff that helps, but so far this is what I’ve learned through several years of very dedicated running experience in the heat. Hope this helps! Nice information here. I’ve been looking around for a while for some solid info on electrolytes but it proved to be somewhat hard to come by. Thank you for this article, it gave me a much better understanding. Good to know that special bit on sodium too, because I see a lot of people run out and grab something salty after exercise for the “electrolytes”….Hehe. My fingers will start to swell within the first mile of a run and will get worse as the run progresses, particularly in the summer. They swell to the point they are white between the first and second joint and fingertips will tingle. Are there any other potential issues besides electrolytes that might contribute to this sort of issue? Besides the hands, I feel fine. No cramps, no stomach issues. It goes away within 15 minutes or less when I stop running. I don’t run with my hands at my sides…I tried an electrolyte additive in my water on the last run, no change. It’s possible I just haven’t found the right mix for me but since it happens so quickly I just wonder if there’s another problem. This is actually very common in the summer or if you live at altitude. It’s just your blood vessels opening up. I wouldn’t worry about it at all. Read tim noakes’ more recent books and you will discover this s all wrong. Body self-regulates electrolytes. Does water mixed with honey and lemon helps in long distance run ? I just started using it. As a diabetic and a runner it has been a fantastic addition to my training. Just came across this article and wanted to mention Emergen-C’s Electrolyte packets. They have no sodium and 4x the potassium of anything mentioned here. I get plenty of sodium in my food – the occasional packaged meal provides plenty – so I’d rather skip the sodium and Emergen-C’s mix works well for me. Plus, there’s no sugar. Thanks for sharing what you have found works for you. Good idea, and that is also why we have recommended EnduroPacks as a product to use without the sugar. Appreciate the feedback, and keep chasing your dreams! I think this article neglects alot of emerging research on cramping that is showing that most of the exercise induced cramping we experience is not the result of electrolyte deficiency. Sure, it’s a box to check for overall system efficiency. But 99% of us who cramp in the calves or hamstrings during a long run are cramping because of lack of fitness, not electrolytes. As a very general example to get you thinking….you have a runner who is training for a marathon using a typical marathon training plan that builds them up to 20 miles. They hydrate all week, carry their fancy electrolyte supps with them into the race, drink gatorade at every aid station, and they experience severe cramping at the 20th mile. Is it because of electrolytes, or is it because they have pushed their bodies longer and harder than they ever had previously? Pickle juice works well for me and many others, but contrary to popular opinion that it’s the sodium in the pickle juice, research has shown that relief often occurs well before your digestive system has had the chance to process the sodium in the pickle juice. Just stuff to consider. Please do your research folks and don’t buy into the pseudo-science that the corporations behind Gatorade and the like put out as fact. I am pretty sure you’re getting your info from this comment from material we’ve already posted. I run early in the mornings, as soon as I get out of bed. I can’t drink 250Ml that early or close to a run, so when should I be taking my electorlytes? The evening before? I get really really bad side stitchs which are super painful so I am hoping these might fix my issue but I don’t know when to have them!! Hi Maxwell, you can take electrolytes any time during the day, so would be best to use the electrolyte spray we mentioned, and just put it in all your drinks to sip all day long. As for stitches, we have a great post on this which may help you overcome them when they happen: https://runnersconnect.net/running-tips/stop-side-stitch/ and another on how to prevent them https://runnersconnect.net/running-injury-prevention/side-stitches-abdominal-pain-causes-and-treatments/ hope this helps! Great article with some v helpful questions & answers. Didn’t you post an article not too long ago that stated items like Nuun tablets are useless because your body regulates the amount of electrolytes lost in sweat? For runs of 90-120 minutes, are electrolytes sufficient or do i need some carbs as well?